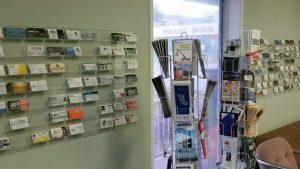 Business Cards – Showcase your business cards or brochures at our office. Drop by between the hours of 8:30am – 4:00pm and drop off your cards, posters, brochures etc. and say hello to the staff. Business Directory –Your business is listed on the website’s business directory. The directory acts as a one-stop shop for locals seeking info on local business. Please ensure your information is correct and updated. Select MANAGE YOUR ACCOUNT in the top left corner of the Greater Westside Board of Trade Website gwboardoftrade.com. Sign-on with the e-mail address you used to sign-up as a member. Request a new password if required. Once you are signed on, click-on the Learn-More icons and follow from there. Offering a point of sale bonus or discount to other members making purchases at your business.